At first glance, Google’s recently announced Pixel 3 series of smartphones and the Pixel 2 seem to share a lot of similarities with one another. However, when diving into the new phone’s settings, you’ll quickly notice that the Pixel 3’s security features are a little different. The handset lacks ‘Trusted face,’ Android’s stock facial recognition functionality. Google’s Trusted face feature has been around since 2014 before the release of the first-generation Pixel handset. Google has included facial recognition functionality in every version of Android starting with Ice Cream Sandwich. While the technology hasn’t always been great, the ability to unlock a phone via your face has become an expected part of the Android experience. Further, many modern Android smartphones still feature face unlock functionality. It’s interesting that Google made the decision not to bring specialized facial recognition hardware to the Pixel 3, despite the smartphone featuring dual selfie shooters. This being the case, it’s strange Google included Trusted face in previous Pixel smartphones that also don’t include specific secure facial recognition hardware. 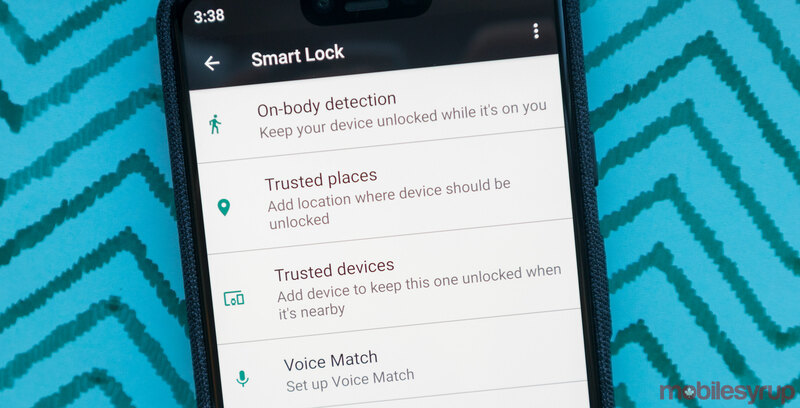 Moving forward it will be interesting to see if other Android manufacturers end up following this trend and ditch facial recognition unlocking as well.